Sloane Citron of Punch Monthly in Menlo Park, CA. Photographed on May 18, 2018 by Scott R. Kline. 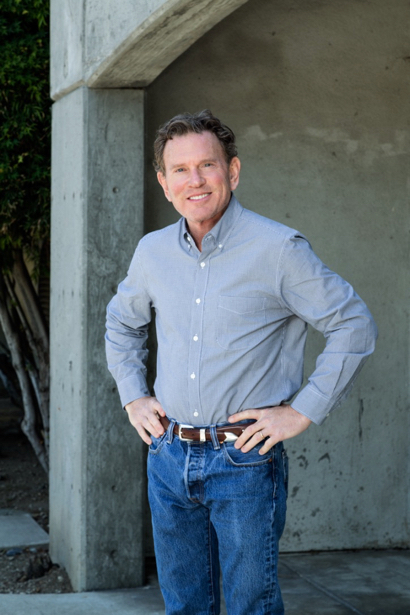 And while the magazine is new, the founder and publisher, Sloane Citron, is a long-time Menlo Park resident who also was co-founder of Gentry, where he spent over two decades. Visiting with Sloane at the magazine’s Menlo Park offices, we learned that he was bit early by the journalism bug. “I started my first publication when I was in the second grade, living in Amarillo, Texas,” he explained. “I love seeing things printed, and when I was in junior high, I subscribed to Folio, a trade magazine about the magazine business. I must have been the youngest subscriber! After Sloane left Gentry, he got involved in his wife Judy’s successful real estate business. But print journalism again beckoned when he got a call from a media broker saying that Time Inc was selling Sunset. What started with 20 suitors narrowed to four bidders, with Sloane’s group being one of them. 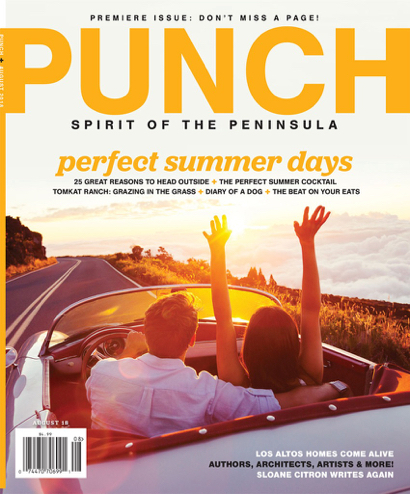 Didn’t get a copy of Punch and would like one? It’s on the newsstand at Kepler’s. Why was East Creek Dr skipped on the circulation ? Last house sold $4.2 m approx. ? Do East Palo Alto and Belle Haven residents get this new publication? Since when does the Peninsula stop at Burlingame? Pretty sure what has always be considered ‘the Peninsula’ went to the SM/SF county line. I imagine including those cities and EPA would lower HHI demo’s this magazine claims. of course the readership and demo’s of this type of pub can easily be manipulated because it is free and only deposited in driveways that support it’s readership claims. mostly likely the readership is way lower than they claim as it is deposited in driveways for free. I’ll bet most go unread. love the map of the peninsula with average home prices. sure make us all look terrible, so thanks for that!